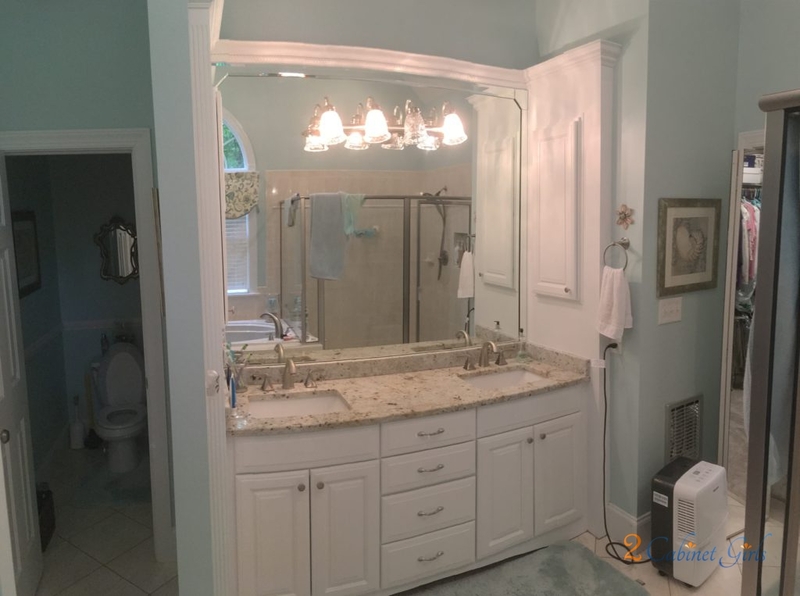 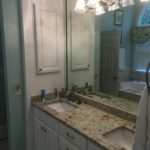 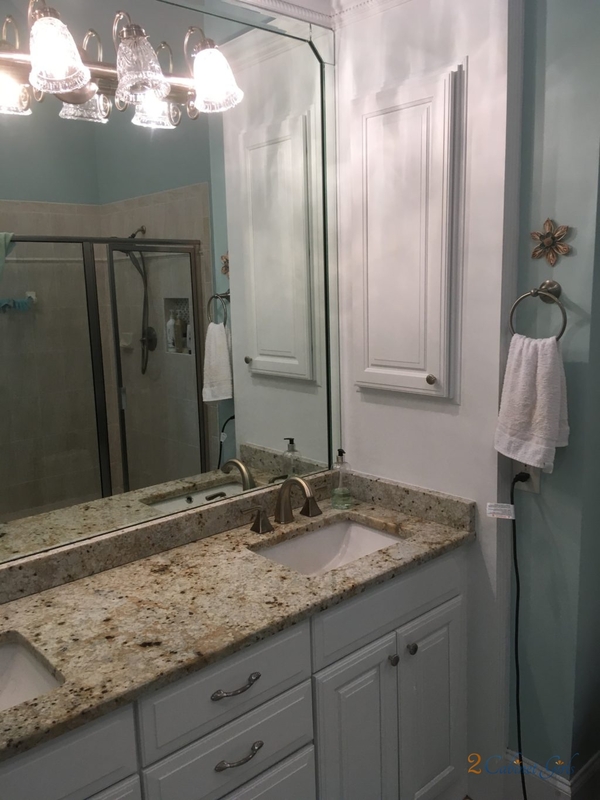 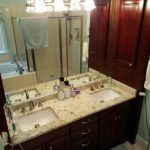 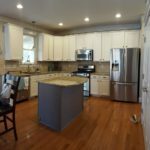 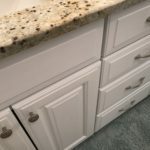 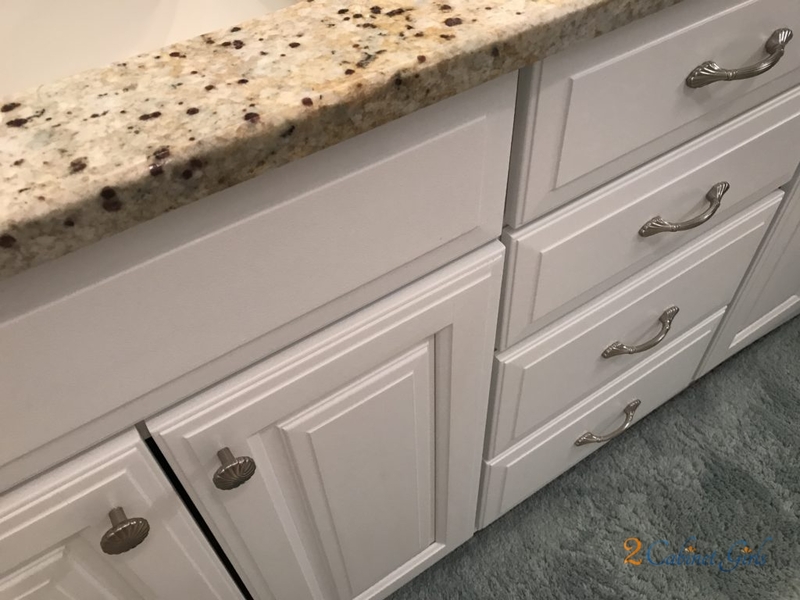 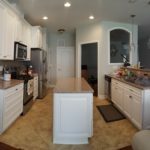 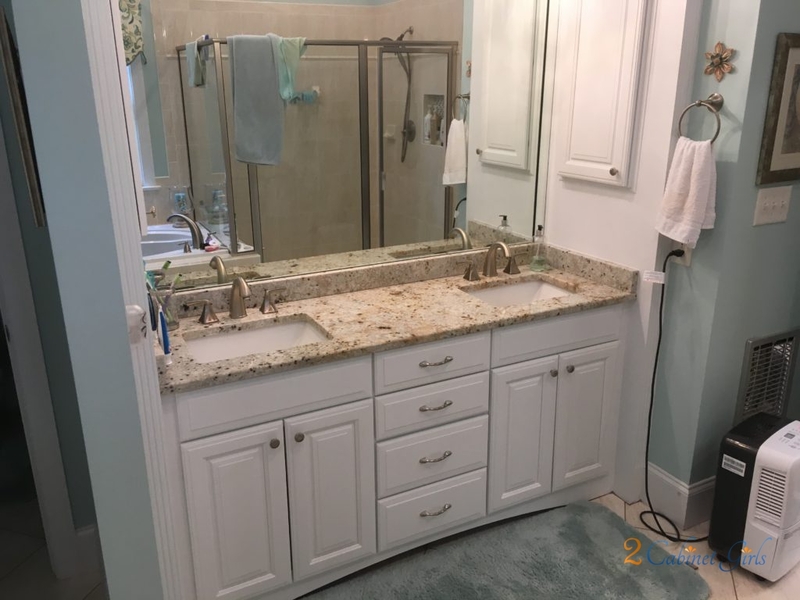 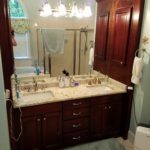 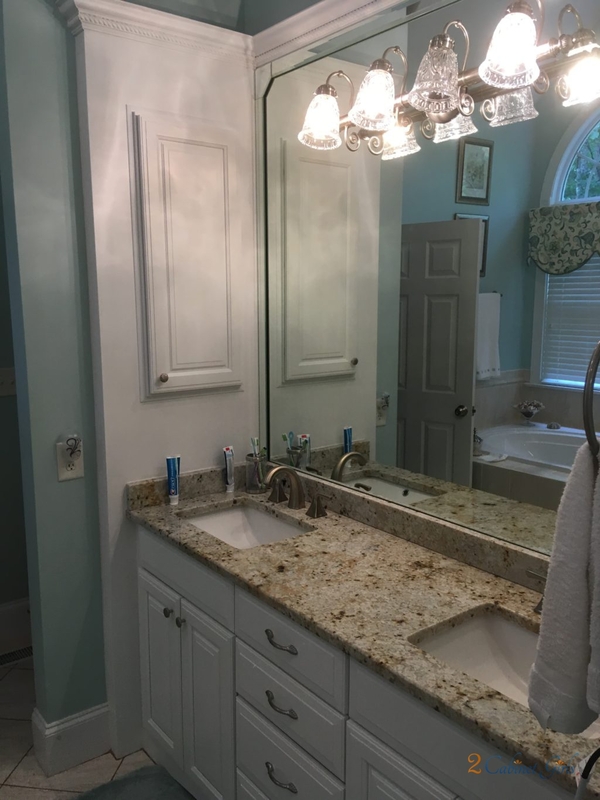 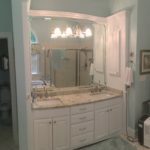 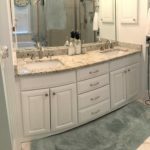 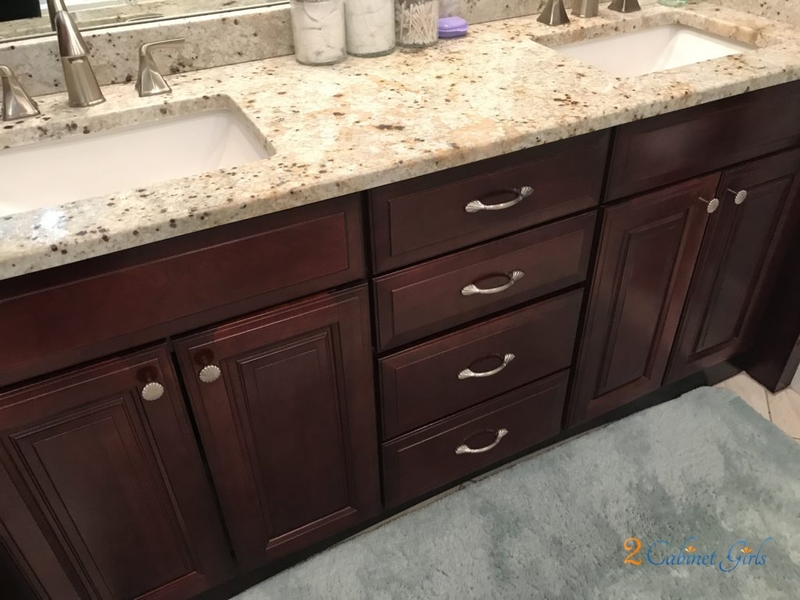 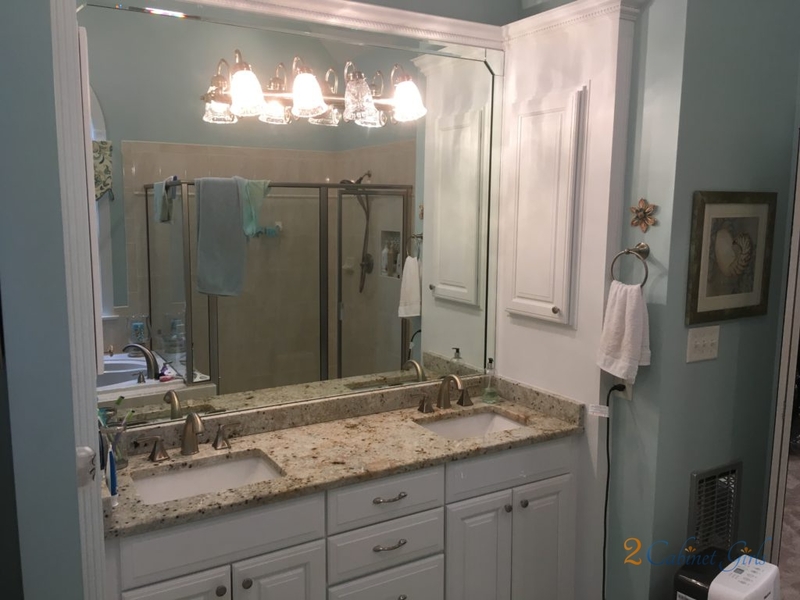 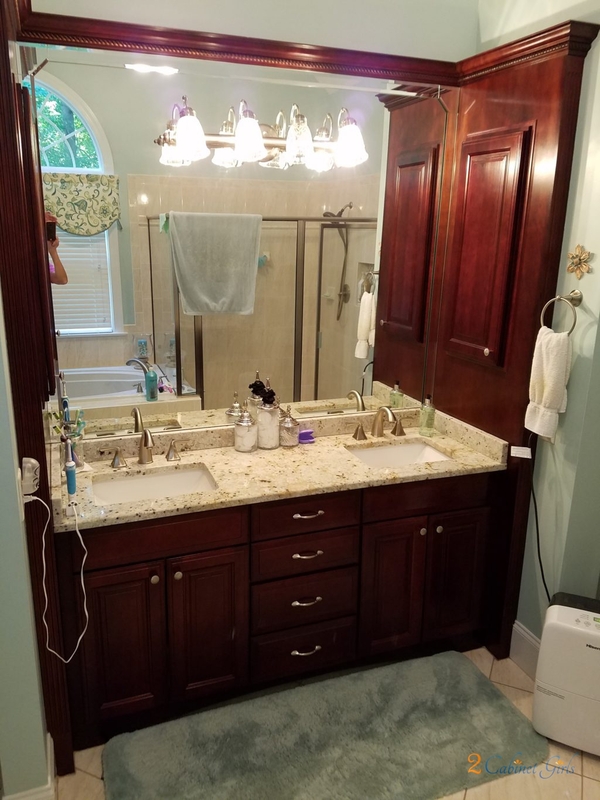 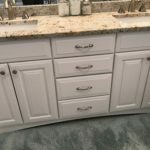 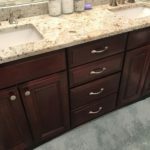 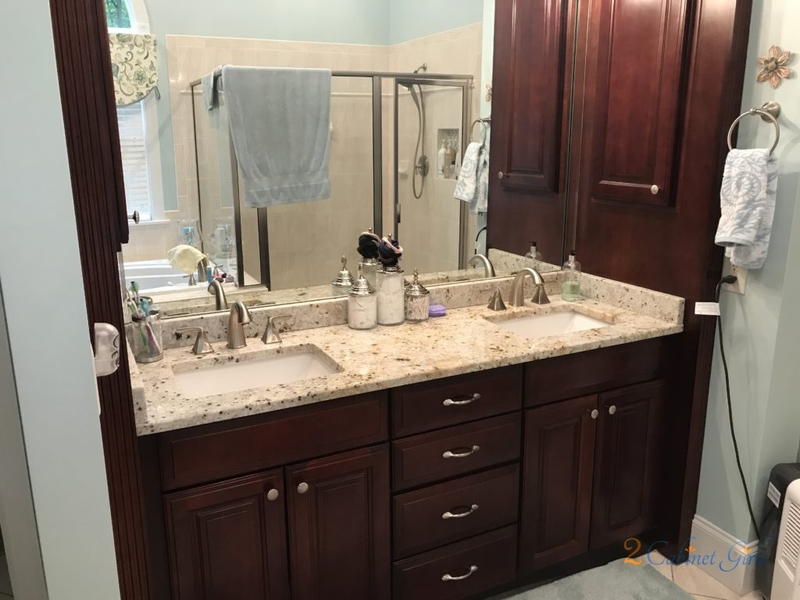 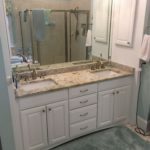 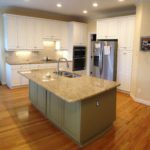 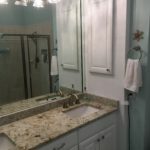 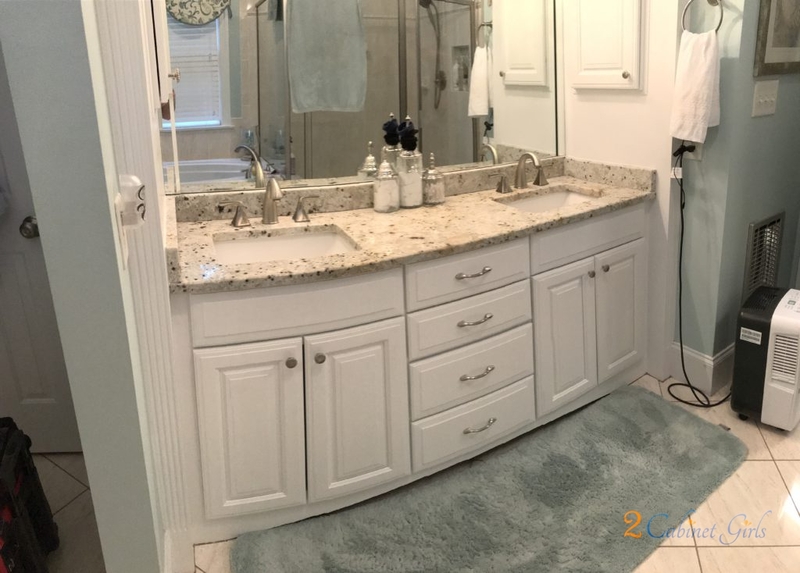 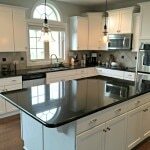 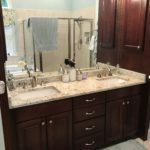 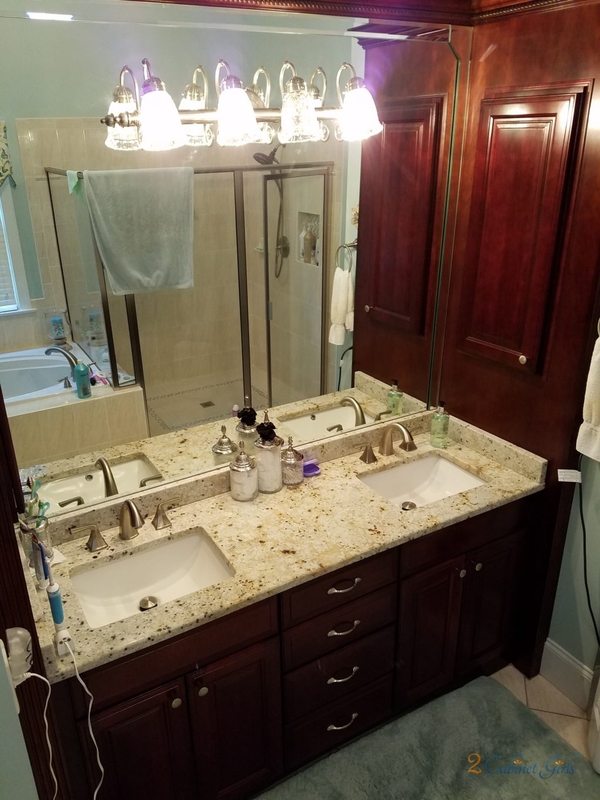 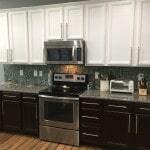 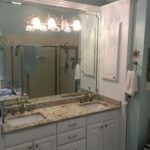 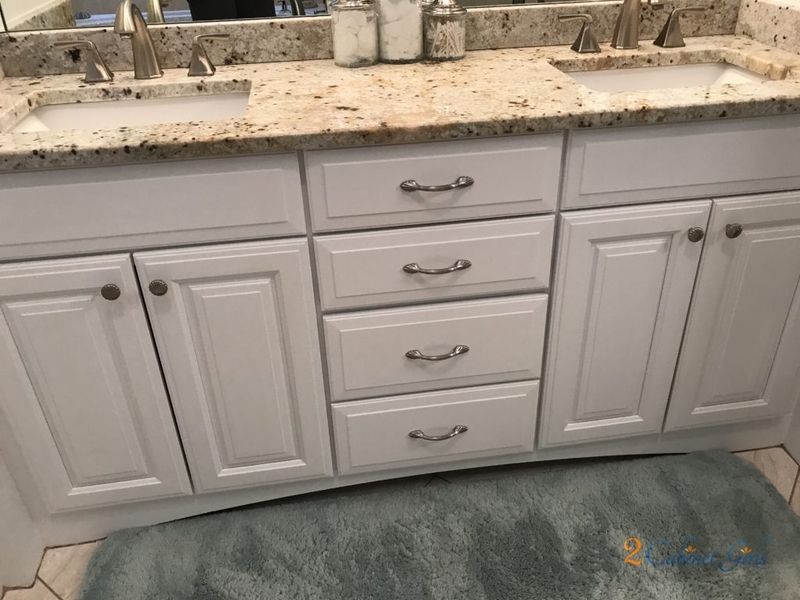 The mahogany stained bathroom vanity made this luxurious space feel dated and worn. 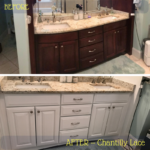 Adding a bright white shade, like Benjamin Moore Chantilly Lace lightens things up significantly and makes the entire space feel more serene and spa-like. 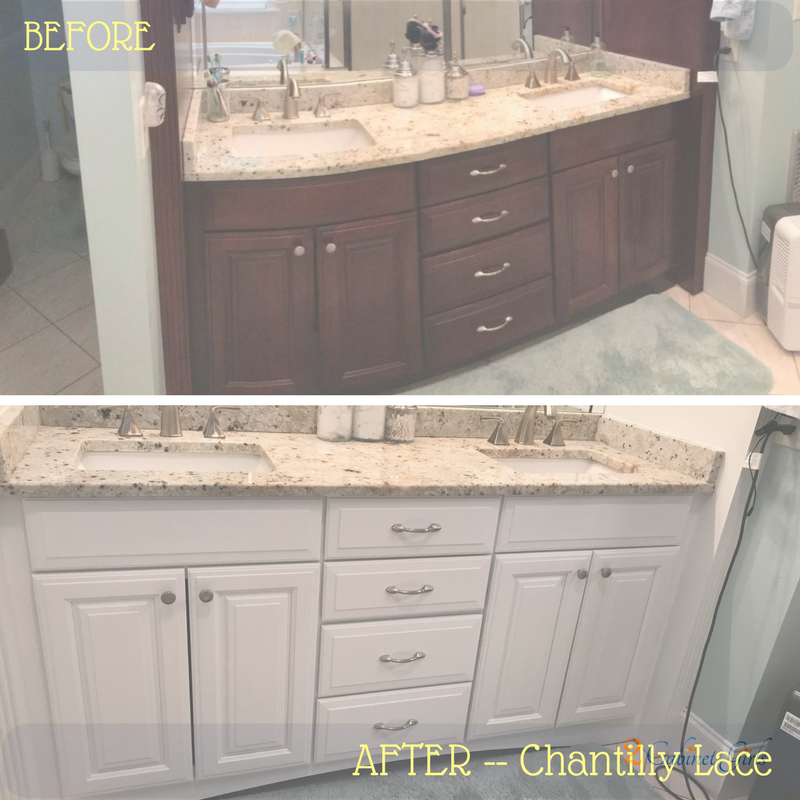 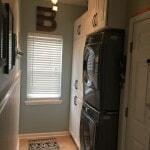 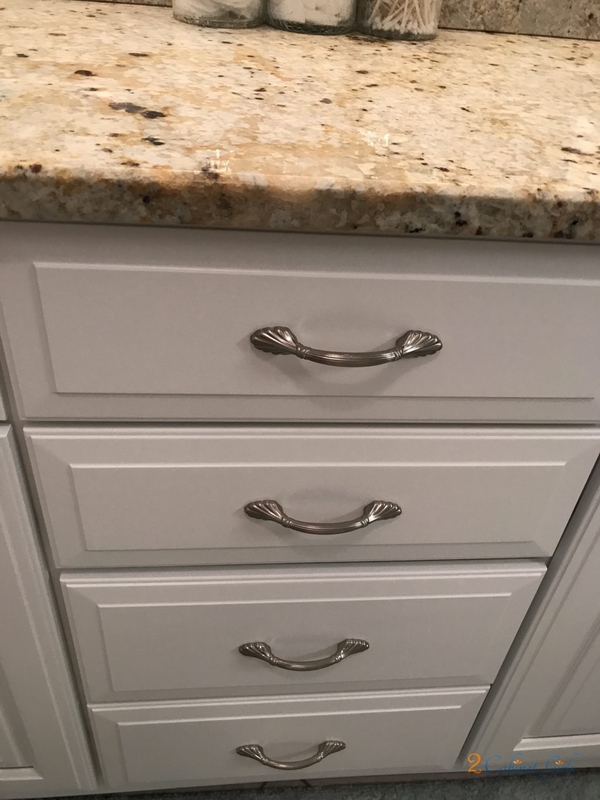 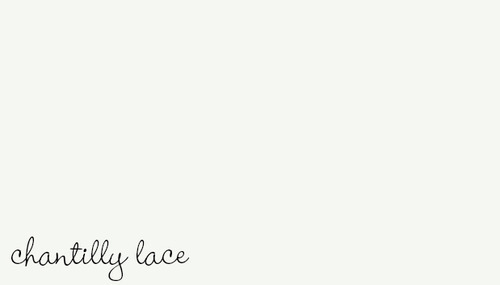 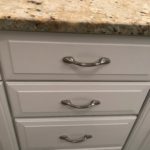 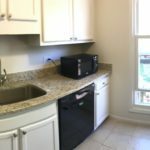 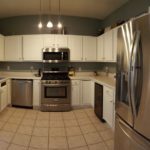 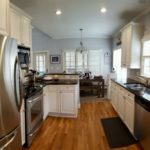 Chantilly Lace and a pretty … cabinet?